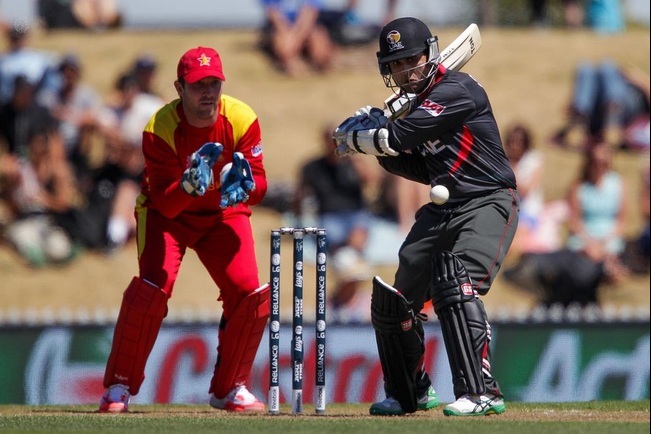 Zimbabwe were given a run for their money to close a nervy win against associate members UAE in the eighth match of the ICC cricket World Cup 2015 at Nelson today. Amateurs UAE crossed swords with Zimbabwe up until the last minute keeping their hopes alive to pull an upset throughout the game. 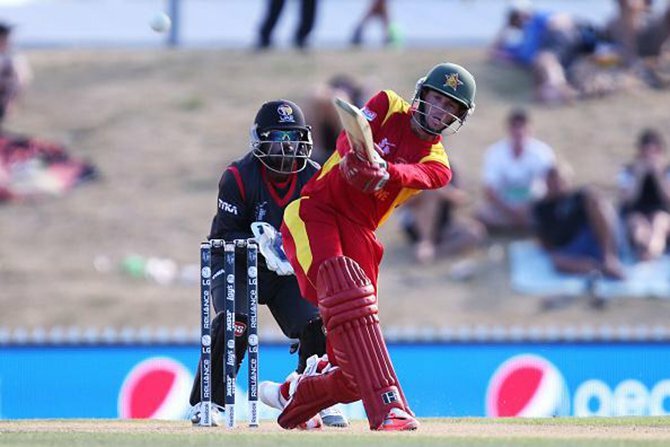 Zimbabwe were forced to work hard for a win. Put to bat first, UAE produced good cricket and set a total of 286, based on integral knocks from almost all of the batsmen, for the loss of seven wickets. Shaiman Anwar knocked 67 and Khuram Khan 45 for UAE. For Zimbabwe, Tendai Chatara picked three wickets while Solomon Mire and Sean Williams claiming two each. In reply, Zimbabwe were forced to struggle with wickets falling at regular intervals – all credit to the disciplined bowling of the UAE. At one point, UAE managed to force Zimbabwe into a tight corner sending back five frontline batsmen raising hopes for an upset in the tournament. Williams struck fifty and partnered with Ervine to recollect Zimbabwe. Though the dismissal of Ervine at the depth proved nervous for Zimbabwe, Williams stayed and guided his team victory with two overs remaining in play. Mohammad Tauqir took two wickets while Amjad Javed, Nasir Aziz, Mohammad Naveed and Krishna Chandran claimed one each for UAE.